As the candidates who want be governor of Vermont voice differing views on the minimum wage, some employers locally and nationally are saying they’re not waiting for mandated wage increases—and are moving forward with raises for workers. As the candidates who want to be governor of Vermont voice differing views on the minimum wage, some employers locally and nationally are saying they’re not waiting for mandated wage increases—and are moving forward with raises for workers. Paychecks are back in the headlines this week after Amazon announced all its workers, even part-timers, will make at least $15 an hour starting next month, more than doubling the federal minimum of $7.25. The policy will also apply to subsidiaries, such as Whole Foods, the company announced. Sanders has long advocated for increases to the federal minimum wage and was a sponsor of legislation introduced last year to increase the federal minimum to $15 an hour. Target, which will soon open its first store in Vermont, has announced it’ll give its workers a raise to at least $15 an hour by 2020. Vermont Creamery, a maker of goat cheese and premium butter, said its employees start out earning at least $15.65 an hour, more than $5 above Vermont’s current minimum wage of $10.50. Company president Adeline Druart calls a livable wage part of the brand’s core values. Vermont’s minimum wage has emerged as a hot topic on the campaign trail for Vermont governor. Gov. Phil Scott, a Republican, vetoed a bill earlier this year that would’ve lifted Vermont’s minimum wage to $15 an hour by 2024. Scott said at the time that he believed the move would hurt small businesses in rural pockets and along the border with New Hampshire—where there’s lower pay pegged to the federal minimum and no sales tax. That combination in New Hampshire, Scott said, means lower costs on businesses that can often lure shoppers away from Vermont. Despite his veto, Scott said he’d very much like to see workers earn more—explaining he believes increases should happen through market forces or through laws enacted at the federal level. Scott’s Democratic challenger, Christine Hallquist, has been sharply critical of the governor’s veto of the bill that would’ve lifted wages. Hallquist has pledged support for the bill Scott blocked, which would have incrementally increased the minimum wage in the state year by year until reaching $15 in January of 2024. “We haven’t seen real wage growth since the early 80s,” Hallquist argued Tuesday, adding her belief that increasing wages should be a societal value. Back at Vermont Creamery, Druart noted future raises are in the pipeline. 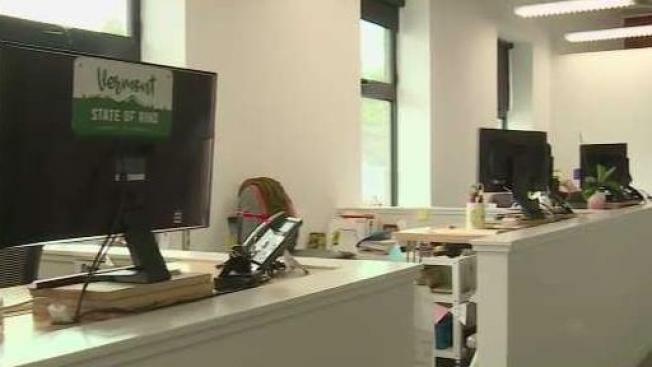 “We’re not going to stop at $15.65,” the company president told necn, revealing there are already plans to pay at least $17 an hour by 2021. With 10 open positions Vermont Creamery is eager to fill, Druart said she hopes higher wages also attract strong applicants who could become loyal employees.